Register for the free “Design Yourself” webinar, storytelling edition, we’re co-hosting (December 5, 1-2 p.m. EST). When Elena and I were first considering launching our own business, we heard a lot of warnings from other creatives about how much of your time goes to working on the business itself. They would say this in a “Ho-hum, if only we could all just be holding cameras and traveling the world everyday, instead of doing all this other stuff,” kind of way. To them, working on the business meant hustling. Constantly hunting down the next project, saying yes to anything, and always waiting for the phone to ring. This was never our mindset. We knew from the beginning that we wanted to be intentional about the projects we said yes to. We wanted to feel comfortable saying no to projects that just weren’t what we do, and we wanted to approach working on the business with the same creativity and energy that we have when we’re working on a commissioned project. So, baby StoryMine, as we now affectionately refer to our early-business selves, set out to tell stories we loved, and to love creating the approach, the method, and the business that is StoryMine. From the beginning we reached out to others in our world doing similar video-storytelling work to pick their brains about how they built their businesses, and we received very generous advice, guidance, and friendship, (we’re looking at you, Kertis Creative). 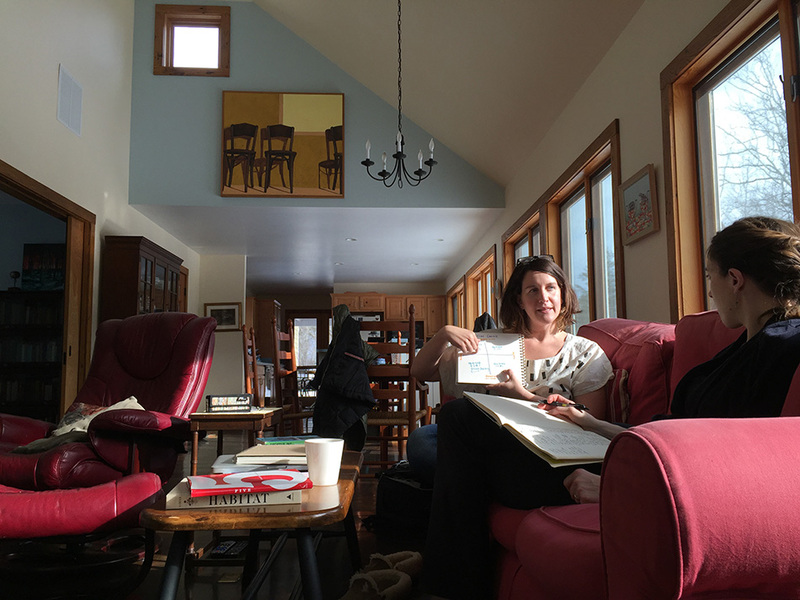 And then, three years after we launched, we went on an Entrepreneurs retreat led by Sharon Lipovsky, of Point Road Studios and Bethany Dufour of the Maley Group. 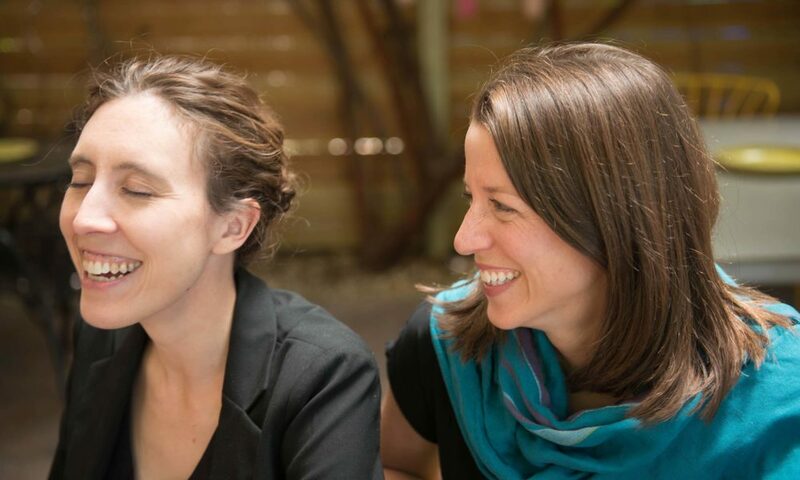 Sharon and Bethany are two incredibly smart humans whose expertise is in business coaching. They were decidedly not in our world. I, (this is Catherine, by the way), was a little skeptical of the business coaching thing. I was afraid it would be a little mushy-gushy for my taste. But these women seemed legit, so I tabled my skepticism. I discovered that their strategies for thinking through how to create and evolve your organization in an authentic and strategic way were very similar to our method of creating videos that effectively deliver a message in a way that connects with an audience because it is not full of jargon and broad strokes. Because jargon and broad strokes a) don’t mean much, and b) are easily ignored and forgotten. We have continued to work with Sharon and Bethany, and have become devoted followers of their content and advice. We’ve also become regular collaborators. And to that point, we’ll be joining Sharon in a her free “Design Yourself” webinar on December 5. In the “Write the Story of You” webinar, we’ll talk through some of the strategies you can use to communicate your message in a way that cuts through all the other formulaic, jargon-filled videos, and actually connects to the people you’re trying to reach. We hope you’ll join us! And if you’re into this kind of content, you can hear our guest-spot on Sharon’s Design Yourself podcast here. We listen to her podcast all the time. It’s like Marie Kondo for your brain. Hope to see you, Dec. 5. If you have questions about the webinar or other content we have coming up, give us a shout!